“Gilad and all that Jazz” is a portrait of one of the modern era’s best saxophonists; a man who has stolen hearts with the sounds of his sax and angered many with his political activities. 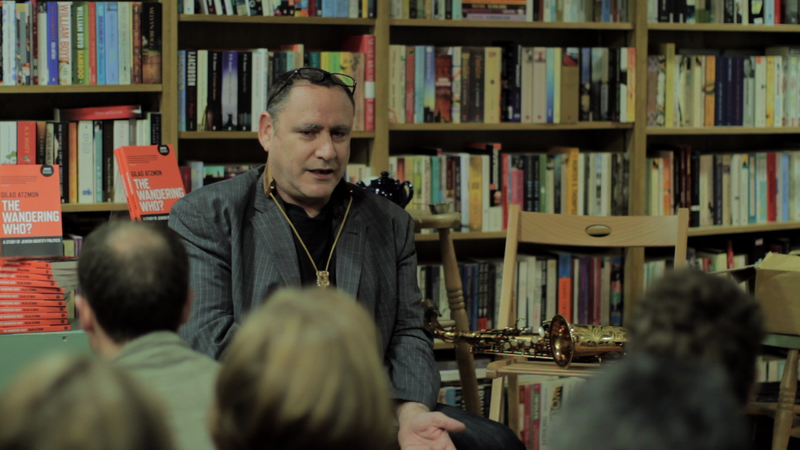 A gentle giant, warm, charismatic and somewhat shy, Gilad Atzmon is a complex character. Born into an Israeli, pro-Zionist family and serving briefly in the first Lebanon War of 1982, Gilad had a dramatic turnaround; he quit the army, picked up his sax and exiled himself to London, declaring himself an enemy to the Israeli state. Since then he has produced some of the modern era's greatest Jazz albums, and collaborated with the likes of Ian Dury, Paul McCartney and Sinead O' Connor. In music he is a 'feisty improviser' as one critic put it, comparing him to the likes of Charlie Parker. In his political and philosophical ideas, he is blunt and outspoken. His ideas on Israel and "Jewishness" have upset many people. He has enemies from every camp; the left, Pro-Palestinians believe he is feeding the Zionist machine with his anti Semitic ideas and that he is damaging the cause of the Palestinians. The right, pro-Zionists are upset by his “anti-Semitic” rhetoric and his growing popularity within the Arab world.